Critic and conscience of society: A vanguard against jackboots? A five-point definition of ‘the university’ was enshrined in New Zealand legislation with the passage of the Education Amendment Act in 1990. The fifth point of the definition – that universities must ‘accept a role as critic and conscience of society’ – introduced a phrase that has been embraced by New Zealand academics. But where did the phrase originate and how did it come to be a part of the Education Act? The alliterative and sybillant coherence of the phrase ‘critic and conscience of society’ lends it a familiar weight, as though it had long been widely applied and understood. But there are no indications that there was an international precedent for such a phrase. The phrase appeared in print for the first time in the Hawke Report, presented to the government in 1988. Gary Hawke, who directed the Institute of Policy Studies at Victoria University of Wellington, was asked to convene a group of officials tasked with consolidating the findings of previous reports on education ‘into a framework for policy action by Government’. An air of secrecy hung over Hawke’s report and other working groups set up to advise on various aspects of education policy, and the government did not originally intend to offer the report for public debate. However, after the report was released, the government conceded a scant month for submissions. The veil of secrecy over proceedings means that the origins of the phrase ‘critic and conscience of society’ are murky. There are at least two claimants to authorship of the phrase. Wilf Malcolm, Chair of the New Zealand Vice Chancellor’s Committee, met with Hawke on 13 May 1988, and recalls coining the phrase as part of this discussion. Gerald Grace, Chair of the Department of Education at VUW, also claims to have offered a definition of the university to Hawke in late 1988 including the phrase ‘critic and conscience of society’. Whatever its origins, the phrase ‘critic and conscience of society’ made it into the Education Amendment Bill presented to parliament in March 1990. The Education Amendment Bill was highly controversial at the time. Not unlike Thatcher’s Education Reform Act of 1988, the Fourth Labour Government’s education reforms were broadly intended to impose financial ‘accountability’ over the tertiary sector. Alongside the definition of the university as an institution with a duty to safeguard and promote academic freedom, the Bill contained proposals to radically restructure the tertiary education system. It included provisions to disestablish the University Grants Committee, which had existed as an intermediary funding body between the universities and the government; to enforce the creation of university charters which required ministerial approval; for the Minister of Education to approve the members of university councils and for the number of academics on those councils to be limited; for the Vice-Chancellors to become the employers of university staff. The Education Amendment Act also criminalised corporal punishment in schools, reconfigured provisions for early childhood education, and redefined polytechnics. But the vast majority of debate centred on whether or not academic freedom for universities would be sufficiently safeguarded. If it were not, opponents argued, then New Zealand universities would plummet in international esteem and be unable to attract top talent from overseas. When the Minister of Education announced the Government’s intention to extend its authority and control over the universities, Mr David Novitz and others, who could hear the distant tramp of jackboots and detect a whiff of burning books in the air, quite correctly denounced the Minister and the Government for a crude attempt, as they saw it, to destroy freedom of thought, freedom of speech, and ultimately freedom of the press. Lockwood Smith, Opposition Spokesman for Education, regularly suggested that a kind of fascism motivated the Labour Government’s desire to pass the legislation. The University of Auckland and University of Canterbury initiated legal proceedings against the government. Given the overall tenor of the legislation, it might seem surprising that the affirmation of the university’s role as critic and conscience of society and the definition of academic freedom entered the legislation at all. Yet Richard Northey, Labour MP and chair of the select committee, recalls that Sir Geoffrey Palmer was keen to include the definition of the university as a balance against the more managerial components of the legislation. The theme of ‘balance’ was stressed by Phil Goff, Minister of Education, when he introduced the Bill for its second reading in June 1990: ‘Academic freedom must also be consistent with the need for accountability by institutions, and with the proper use by institutions of resources allocated to them’. Agitation from universities – both from the top and from the trenches, in the media and in select committee – forced a number of amendments to the Bill, adding 103 pages to a 160-page Bill between the first and second readings. Yet there was limited time for reflection. The Labour Government, unlikely to be elected for a third term at the end of 1990, raced it through parliament. The first reading of the Education Amendment Bill occurred 29 March and its final reading on 12 July. Despite the amendments, the central reforms went through largely unaltered and passed into law. In comparison with other countries it must be said that the regime proposed under the Bill with respect to universities remains defective in three major respects. There is still a need for a buffer organisation to protect the universities from direct political interference. The autocratic powers given to the vice-chancellor in the Bill are internationally unprecedented and the limitation of academic representation on the university councils to three members is extraordinary and way out of line with universities in other countries. Whatever the merits of its other reforms, the Education Act’s definition of the university in terms of academic freedom and its domestic coinage of the idea that it was the university’s duty to act as critic and conscience of society, set an important precedent for how universities could be understood both locally and internationally. The university as ‘critic and conscience of society’, defined and protected by law, has become a model for academics in other parts of the world. For instance, Professor George Fallis of York University in Toronto, an economist, has used the New Zealand example to advocate for similar recognition of academic freedom and democratic rights for Canadian universities within Canadian legislation. Locally, the legal mandate and protection granted to universities by the Act continues to empower and embolden academics to discuss, debate, and assert their rights to academic freedom in public as well as in the more cloistered world of academic publishing. 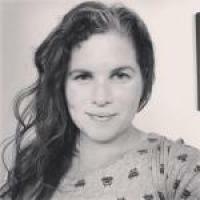 Dr Genevieve de Pont, Dame Joan Metge Post-doctoral Scholar for 2015, and Honorary Research Associate in History, School of Humanities, University of Auckland. 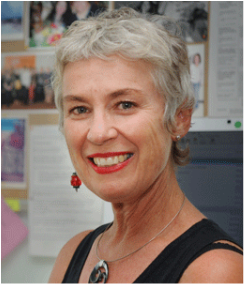 ﻿Assoc Prof Barbara Grant﻿, Critical Studies in Education, University of Auckland. Gerald Grace, ‘Reflection on the University and the Academic as “Critic and Conscience of Society”’, New Zealand Journal of Educational Studies, 45, 2, 2010, p.89. George Fallis, ‘Universities and Democracy’, COU Working Paper, 22 April 2005, pp.5–6. Ananish Chaudhuri, ‘Reforms blind to universities’ aims’, New Zealand Herald, 16 April 2014 (available at: http://www.nzherald.co.nz/nz/news/article.cfm?c_id=1&objectid=11239145; last accessed 27 May 2014); Todd Bridgman, ‘Assassins in academia? New Zealand academics as “critic and conscience of society”’, New Zealand Sociology, 22, 2007, pp.126–144; Gerald Grace, ‘Reflection on the University and the Academic as “Critic and Conscience of Society”’, New Zealand Journal of Educational Studies, 45, 2, 2010, pp.89–92.